As China aggressively expands its regional and global influence, what is Tokyo’s calculus behind the recent passage of security bills that allow the Japanese government the right to exercise limited collective self-defense (CSD) amid impending threats? 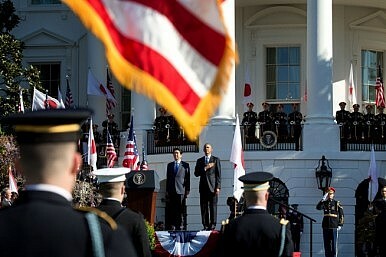 Because China’s strategic objectives in the East China Sea and South China Sea threaten 1) the viability of the U.S. alliance system in Asia upon which Japan remains critically dependent, 2) Japan’s territorial integrity, and 3) the openness of Japan’s vital trade lifelines, Japan needs additional capabilities and strategic options. Specifically, it needs to throw its weight behind the U.S. to offset China’s strengthening area access/area denial capabilities and its efforts to unilaterally change regional maritime security norms. Limited collective defense permits Japan to assume new roles and obligations under the new U.S.-Japan Defense Guidelines. And Japan needs additional diplomatic means to offset Chinese public diplomacy efforts to stigmatize and isolate Japan, as well as to support the regional order and make common cause with other like-minded nations. The new security laws will permit Japan to engage in more defense cooperation, weapons and technology transfer, strategic ODA [Official Development Assistance], and maritime security capacity building assistance with friendly Asian states. How would you assess China-Japan rivalry and plausible paths that might propel or mitigate potential regional conflict, for instance the East China Sea or historical grievances? Until 2008, the China-Japan-U.S. strategic triangle stabilized a regional order led by the U.S., with both China and Japan as followers. From 2009 we saw a transition that was completed with Xi Jinping’s assumption of Chinese leadership in 2012. Now this reconfigured strategic triangle features two self-proclaimed great powers – China and the U.S. – with growing fundamental disagreements over the basis of regional order. As a lesser power, Japan is a “swing state” that can give whichever side it aligns with a decisive regional – but not global – competitive advantage. China’s bullying and narrowly self-interested conception of regional order has driven Japan into a tighter alignment with the U.S. that will be hard to undo. How might Prime Minister Shinzo Abe leverage the successful 12-nation negotiations of the Trans-Pacific Partnership (TPP) to bolster his domestic political standing and Japan’s regional influence? [The TPP] is profoundly important to Abe’s domestic and diplomatic agendas. Domestically, it permits Abe to address his “third arrow” agenda of structural economic reform. It will seem an obligation imposed on Japan by the community of states to which Japan belongs – rather than Abe’s personal ambition that will cause pain to powerful domestic interest groups. Diplomatically, it will create Japan’s own “community of common destiny,” and its economic gravity will compel other Asian states to join, including South Korea that otherwise would never be able to negotiate an FTA with Japan. The TPP will bolster Japanese diplomacy and boost its trade and investment. China’s currency – renminbi (RMB) – has surpassed the Japanese yen as the world’s fourth most-used currency. What are the key implications of this development? This reflects Beijing’s efforts to promote growing reliance on the RMB for trade invoicing and trade-related finance. But unlike the JPY, the RMB is still not “freely usable” enough for the IMF to accept it as an official reserve currency. China badly wants this status, but it will have to open up to international investment and currency flows to get it. Can China do what is necessary? Its economy is currently slowing and experiencing large net outflows of foreign exchange that suggest a potential for capital flight. How should the next U.S. president strengthen American leadership as a Pacific Power, and how might the U.S. rebalance evolve under a new U.S. administration? The U.S. has put its hopes on a strong strategic partnership with China to anchor an open regional order that the U.S. has worked hard to build up since the end of WW II. This hoped-for partnership looks less likely under the leadership of Xi Jinping, who appears more inward looking and nationalistic than his recent predecessors. And he looks dominant enough inside China to name and influence his successors for the remainder of his natural life. Therefore, without reducing efforts to engage China in areas where their interests coincide, the U.S. must shift the focus of its diplomacy to the rest of the Indo-Pacific – the maritime littoral of Asia where the U.S. has traditional friendships and strategic advantages – to maintain the openness of this region.